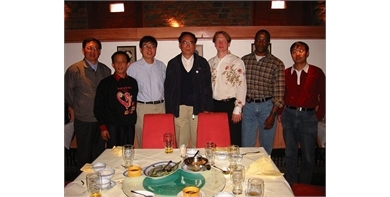 is the member of International Wushu Federation (IWUF). 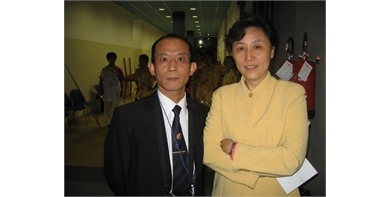 It is the the main governing organization of wushu internationally. To the IWUF belongs 119 national federations and it is founded in 1990. 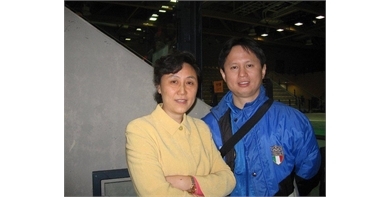 At European level FIWUF is a member of the European Wushu Federation (EWUF), which also belongs to IWUF. EWUF is founded in 1985. 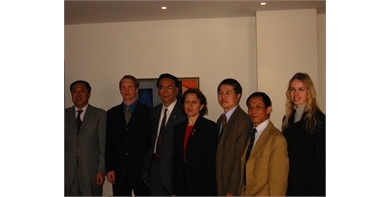 Finnish Wushu Federation is founded in 1991 and since that it has participitated all the major international events. Currently it holds eight national associations in all around Finland. 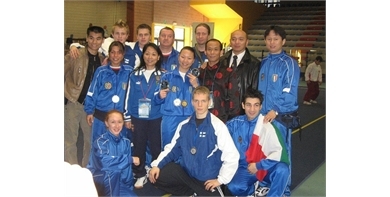 FIWUF has organized three Finnish Wushu Championships, 2006, 2008 and 2010. Wushu is an important component of the cultural heritage of China, with a rich content that has remained untamished over the centuries. Literally translated, "wu" is military, "shu" is art. Wushu therefore means the art of fighting, or martial arts. Although still in budding stages in many countries, wushu is an established international sport. 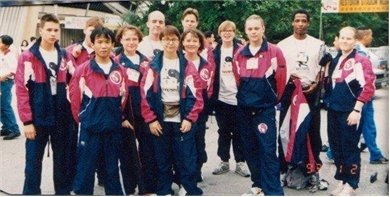 In 1990, wushu was inducted as an official medal event in the Asian Games. 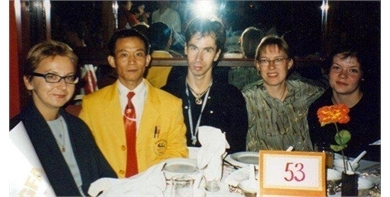 From 1991 the World Wushu Championships have been held once in every two years. Previously, wushu figured significantly in the simple matter of survival through China's many wars and political upheaval. Today, wushu has been organized and systematized into a formal branch of study in the performance arts by the Chinese. It reigns as the most popular national sport in the country of 1.2 billion people, practiced by the young and old alike. It's emphasis has shifted from combat to performance, and it is practiced for its method of achieving health, self-defense skills, mental discipline, recreational pursuit and competition. There are professional wushu teams in every province, such as Beijing, Shanghai, Shanxi, Guangdong etc. All the major sports universities have a wushu department, for example Beijing Sports University and the Sports University of Shanghai, etc. There are professors and students doing wushu research and studies and thousands of students graduate each year. To describe wushu, it is best to understand the philosophy of its teaching. Every movement must exhibit sensible combat application and aestheticism. The wealth of wushu's content, the beauty of wushu movements, the difficulty factor, and the scientific training methods are the song of the elements that set wushu apart from martial arts. Routines are performed solo, paired or in groups, either barehanded or armed with traditional Chinese weaponry. In short, wushu is the most exciting martial art to be seen, felt, and ultimately practiced.